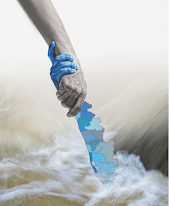 As you might have already read in the news, Kerala is witnessing floods of unimaginable proportions. Rescue operations are on and the difficulties faced by people cannot be put in words. Sadly, it was only yesterday that I thought of actually doing something about it. Somehow, I have always thought that disasters happen to others. What I have also thought is the rescue and help is for someone else to do and what I can do is only pray. Sadly, prayers are not going to help rescue and rehabilitate the affected. But with this tragedy striking so close home, I decided to do something about it. In hindsight I agree that I have been selfish by acting only when 'my' home state was affected. The last I contributed to any relief fund was during the Uttarakhand floods of 2013. 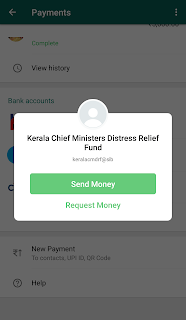 With technology playing a helping hand, it is so much easy for each one of us to help people in the hour of need. There is a website setup for this and you can explore various options starting from debit cards, credit cards, netbanking, UPI and paytm. 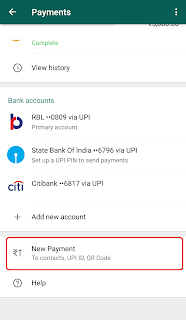 This post will run you through how to donate through UPI on your WhatsApp. 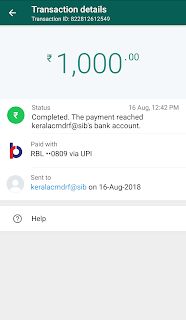 UPI makes transfer of funds very easy, and with WhatsApp in almost every phone, all it takes is a couple of minutes and a good heart to make a difference. 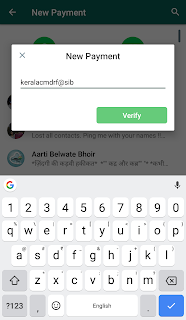 There are other UPI apps as well. Any app should do. 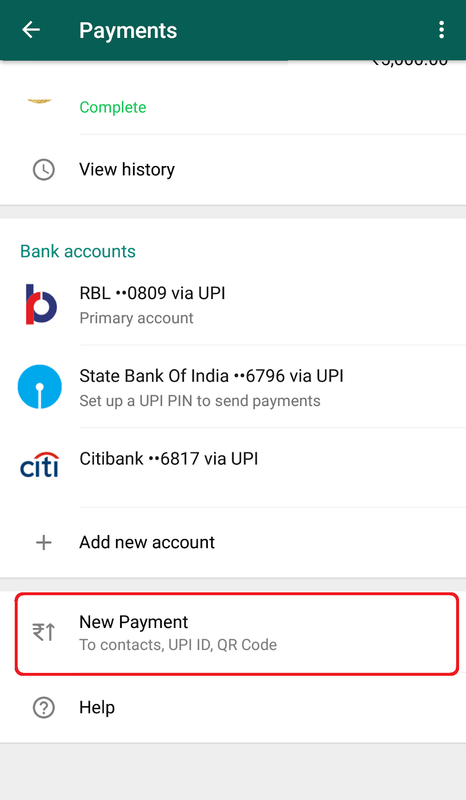 If you do not have payment enabled on WhatsApp, click here to go about setting it up on your account. 5) If you choose UPI id, you can choose to send your contributions to the Chief Minster's Distress Relief Fund by entering any of the following UPI ids. 6) If you choose to scan a QR code, you can scan any of the ones available on the website. The SBI one is given below. 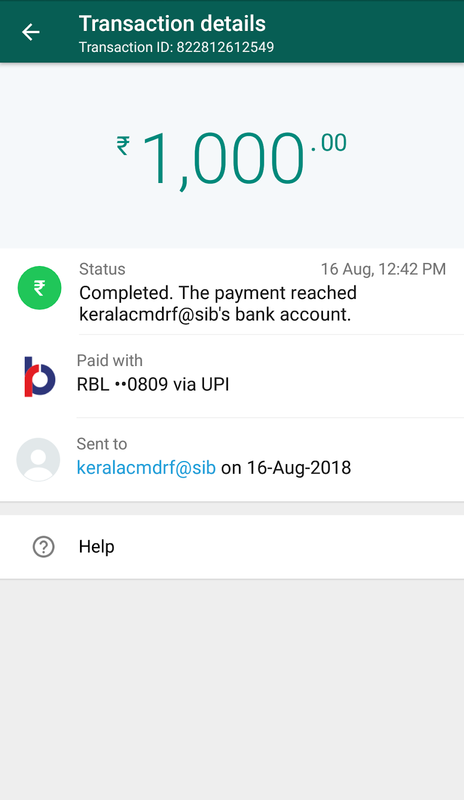 7) Once entered/scanned, the UPI id is verified and you get to confirm the address to which you are sending the money. So go ahead and make a difference, because you can! !